The Kubota KX80-4 is Kubota's flagship model. 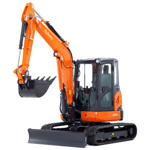 The largest Mini Digger that Kubota manufacture it has a class leading dig depth in the smallest footprint for a Mini Digger of that size. 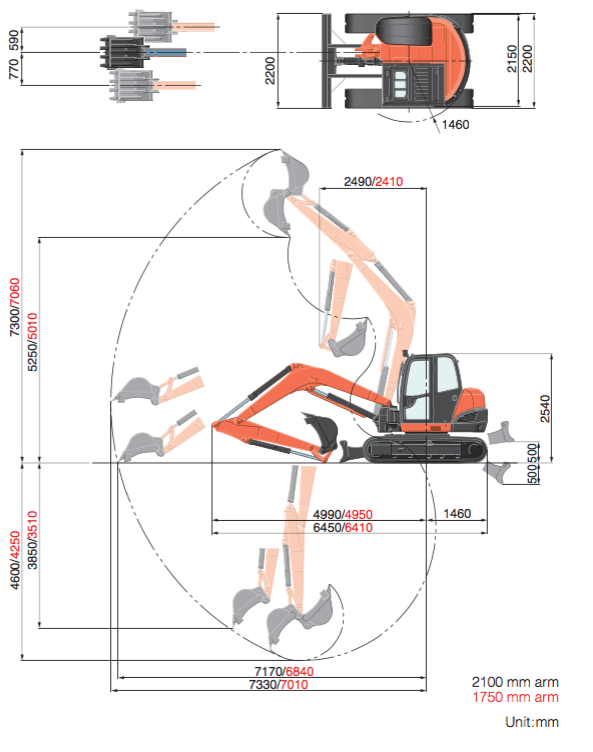 With an impressive 4.6m dig depth and a compact 2.4m width these machines can rival larger 12/14 ton machines from other manufacturers. All of our 8 Ton Diggers now come with green seat belt beacons and we also stock Pallet Forks for our 8 Ton Machines which enable two tons to be lifted without any danger of instability at full out reach and off set to the tracks. If you require machines with green seat belt beacons then please let us know as we now stock machines with green seat belt beacons. Keeping Health and Safety Officers happy as they come with green seat belt beacons. Filling 8 wheel tipper trucks with ease. Lifting materials in to place with our 2 Ton Pallet Forks. Keeping cool on hot summer days as they have Air Conditioning! Keeping dry as they have a fully glazed cab. Keeping you hydrated with a Cup Holder and 12v charging socket for your phone. Refueling is easy with an on board pump and hose. Keeping you safe with Anti Drop valves on the boom and arm - a must have if being used for lifting. Small foot print and small rear over hang to minimise accidental crush deaths and damage to the rear of the machine. Getting places quickly as they come with Two Speed Tracking. Not getting stolen as they are fitted with the Kubota Anti Theft Key that is Thatcham Approved. Breaking out industrial reinforced concrete pads with the breaker attachment. All of our machines come with a full set of buckets as standard and we stock a full range of breakers, augurs, post knockers and window shutters. The Kubota Mini Diggers that we stock are one of the best machines on the market, they also come with the Kubota Anti Theft key which is a Thatcham 1 approved alarm system that immobilises the electrics, hydraulics and fuel systems. 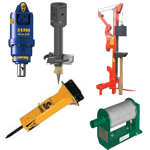 We stock a range of accessories including mini digger breakers, mini digger augurs, mini digger tree stump grinders, mini digger post knockers and also digger window shutters. Pallet forks are a great way of moving pallets with a digger. On our 8 Ton Diggers they can lift 1 ton in any direction and at any outreach. Ask us for more information. We have partnered with JCB to offer insurance to our customers. This costs 10% of the hire charge (does not include transport or VAT) plus 12% Insurance Premium Tax. 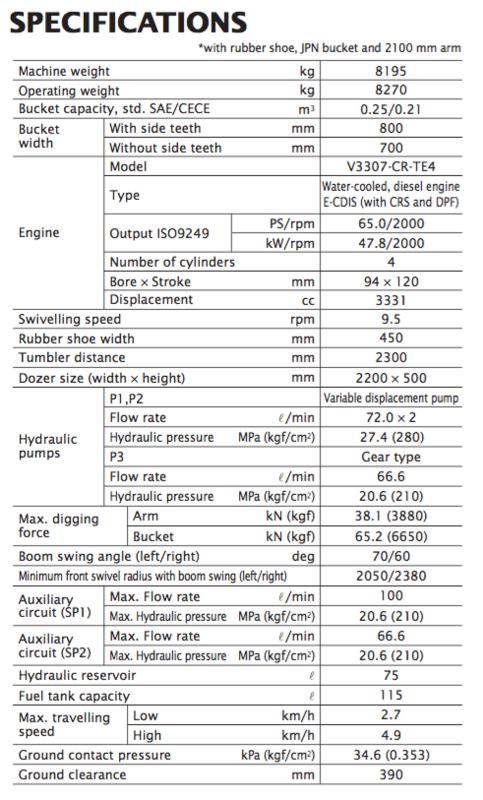 Please ask us for more information when you book your machine. The majority of our customers find it easier to get a dumper to lighten the load. 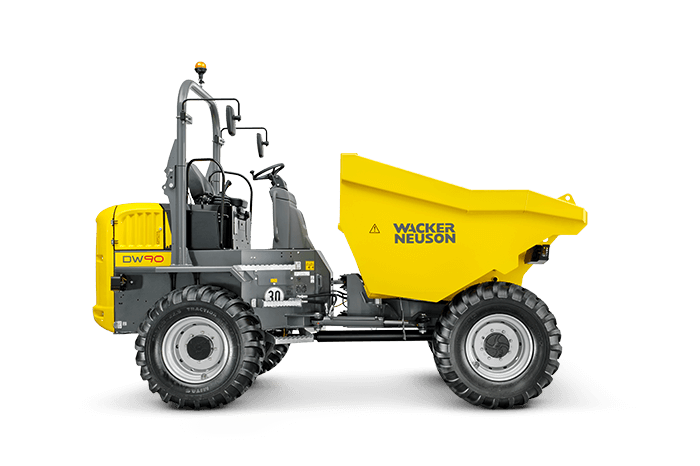 9 Ton Dumpers have a 9 Ton capacity and four wheel drive, they are able to carry high volumes anywhere on site and are a true site work horse, often moving spoil or materials. 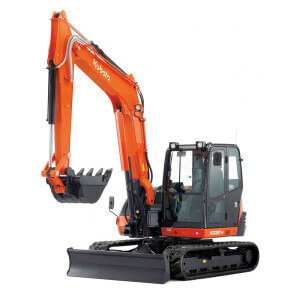 The Kubota U48-4 and U45-3 Mini Diggers that we stock are the best 5 ton machines on the market. Utilising automatic idle and two speed tracking it makes efficient use of speed and time. 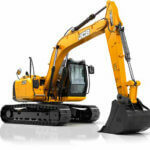 Able to grade of large areas of land quickly and dig trenches to a depth of 3.4m they are very popular. We now stock the JCB JS131 14 Ton Digger, capable of a class leading 6m dig depth and with the highest peak power of all machines in its class. And the best thing is that they do not use Ad Blue! All of our JS131's come with cab guards, steel tracks and green seat belt beacons.